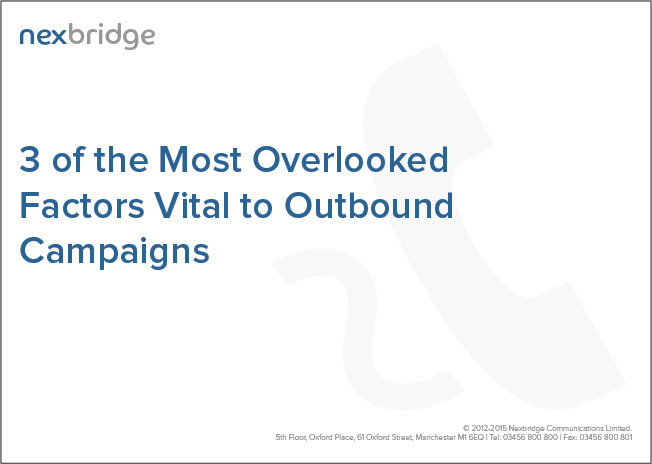 For contact centres, outbound campaigns are now highly sophisticated. Businesses are utilising new technologies as their benefits are realised, and strategies are changing and adapting in response to consumer behaviour. Most outbound campaign managers are aware of this, and have a good idea of what they think is required for their campaign to be a success. Of course, each campaign is unique and requires a tailored approach, but there are a few commonly overlooked factors which if not considered can be a serious problem. Download our white paper featured in Call Centre Helper magazine to find out more.